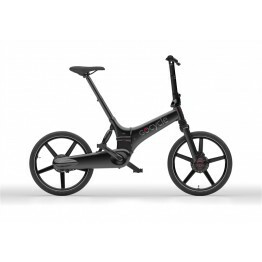 The New Fast Folding model GX will be foldable in less than 10 seconds and this is making it the fastest-folding model in the Gocycle Range and probably the fastest folding mechanism on an eBike today! The fast-folding GX will become the third member of the Gocycle family, joining the GS and range-topping Gocycle G3 and will be the ideal companion for taking onto the train or into your office on your daily commute. Lightweight by design, Gocycle is the award-winning electric two-wheeler combining on-demand power, portability and style for a no-effort, no-emission, low-cost commute. Gocycle’s mission is simple: to create the world’s best urban electric bikes. The New Gocycle GX is available to pre-order now with Delivery for a Spring launch!